THE CYPRUS INTERNATIONAL UNIVERSITY was established in 1997. It is an ambitious and innovative institution, providing its students a center of excellence with distinction. With all its academic and social activities, the University's prime commitment is to provide educational facilities to satisfy the needs of a modern technological society. Thus, whilst these needs are broadly provided, CIU has developed a deliberate policy of making its courses practical and relevant. 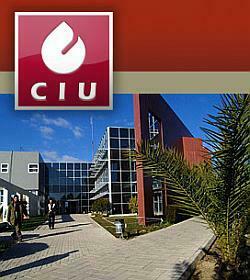 With its outstanding international academic staff, CIU is concerned particularly with the quality of its teaching, the employability of its graduates and the application of its research expertise for the benefit of the community. Internationally accredited programs, a dedicated faculty and modern campus attract students from around the world. SUMMER ACADEMY at Cyprus International University - Summer 2019. Dates: Arrivals: on Sundays, Course starts on Mondays. First arrival: 26/06/2019. Final arrival: 15/08/2019. 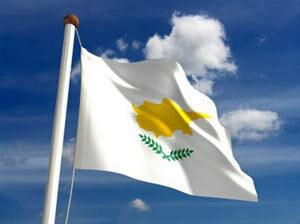 Place: Cyprus International University, North Cyprus, Lefkosa (Nicosia, Turkey). Accommodation: Room for 1 person, the room has a mini-fridge, air conditioning, telephone, cable internet. In addition to the English lessons: During the program, students will be offered tours to cities and historical places of the Island, trips to the beach, entertainment in the campus, and visiting sports center on campus. 20 lessons per week English language tuition (lessons may alternate between mornings and afternoons), maximum 8-10 students per class. You can chose between General English and IELTS Preparation Course. CIU strongly believes that living in the residence halls is a vital complement of the educational process and provides accommodation on campus for 70% of its students. The University’s residence halls are designed to answer all the needs of the students as well as studio type accommodation is also provided on campus. dual degree programs with UK Universities –University of Sunderland and University of Wolverhampton. 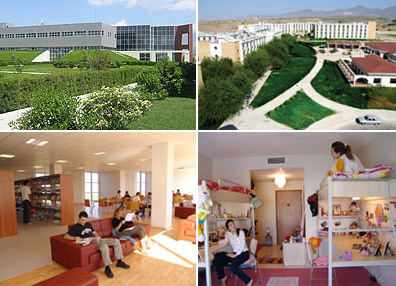 Cyprus International University`s medium of instruction is in English and its composed of 7 faculties; Law, Education, Economics and Administrative Sciences, Communication, Fine Arts, Engineering as well as Arts and Sciences, 4 schools and 3 institutes, offering 66 programs, 35 undergraduate, 20 graduate and 11 post graduate degrees. English is the medium of instruction for all programs, with an exception of Turkish Language and Literature, Turkish Language Teaching, Pre School Teaching, Guidance and Psychological Counseling, Art and Crafts Teaching and the department of Mentally Handicapped Education. Besides these programs CIU offers dual degree programs with major UKuniversities –University of Sunderland and University of Wolverhampton. The copies of the following documents are required to be couriered or mailed to CIU’s International Office for each application (according to the regulations of N. Cyprus Government, for some countries; undergraduate programs’ applicants should be not more than 25 years of age, and for graduate programs the age limit is 30). Course descriptions and course outline - for Bachelor app. Campus life is probably one of the most important periods in any student`s higher education experience and has profound impact not only on student`s social lives, but in their professional lives as well. At Cyprus International University, we pride ourselves in offering a wide range of opportunities on campus to help students to realize their full potential. Social, cultural, sports and academic opportunities compliment and support the education that students receive in classrooms. The campus is only five kilometers from Lefkoşa (Nicosia, the capital), fifty kilometers from Gazimağusa (Famagusta) and thirty kilometers from Girne (Kyrenia). The campus has been conceived as a university village rather than a group of academic buildings. All new students are expected to live in the university residence during their first year at CIU. The residence halls are within walking distance of the classroom buildings and the Student Centre. Breakfast lunch and dinner are served seven days a week at the student Union Lakeview Food Hall, which offers a la carte service as well as a basic meal plan. o are furnished with bunk beds, chest of drawers, desks and chairs, bookshelves, lounge chairs, telephone and a refrigerator. Laundry facilities, Dining Facilities, Student Union, Shuttle Services, Sports and Recreation Center, The Library, International Student Office, Counseling Center, Health Center, Career Services. In addition to these services, most important of all with the most developed sports complex of TRNC, CIU ARENA, covering closed area of 7,500 m2 and open area of 15,000 m2– CIU offers wide range of sports activities. International Office has been established aiming to answer the CIU and TRNC related questions of foreign students and to help them. The main objective of the Office is to help foreign students, who all come from different countries and cultures, and ease their adjustment to campus life, to meet their needs and make them feel welcome and at home in the Cyprus International University. CIU has international students from 28 different countries; and the office organizes many activities and events for them. -FOR UNDERGRADUATE (BACHELOR'S) PROGRAMS: 4446 EURO (includes: tuition fee for 1 year period, 3 meals a day during a year, shared accommodation in a student residence for one academic year). -FOR GRADUATE (MASTER'S) PROGRAMS: 3850 EURO (includes: tuition fee for 2-year period of study ONLY). DEADLINE FOR ADMISSION: 15 SEPTEMBER 2015. START DATE OF THE PROGRAM: 1 - 15 OCTOBER 2015. CIU Arena is the TRNC`s most developed sports complex; including a half size Olympic Swimming pool, a closed area of 7,500m2 and an open area of 15,000m2 total of 22,000 m2 area, which offers wide range of indoor and outdoor sports activities. CIU Arena`s 250 seats capacity semi-Olympic swimming pool, 1500 seats capacity multi functional indoors sports arena, 780m2 fitness center, climbing wall, squash rooms and polygon are the main facilities offered in 7500 m2 closed area. At the same time, 15,000 m2 open area of the Arena offers 2 pitches, 2 tennis courts, 4 Bocce courts, 2 basketball courts, 1 volleyball court, beach area where it can be used for activities such as "beach" volleyball, handball & football, and 400 m outdoor jogging track and fitness area are the important features of the arena.